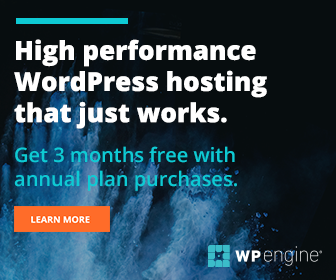 It is useful to add reports and white papers to pages and posts to keep visitors interested and to encourage them to return to your WordPress website or blog. 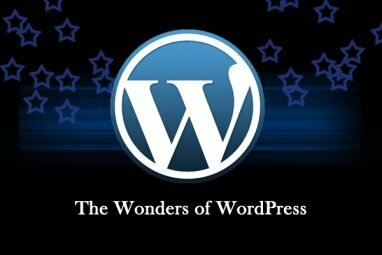 WordPress makes this a very simple task but it is not obvious how to do it. 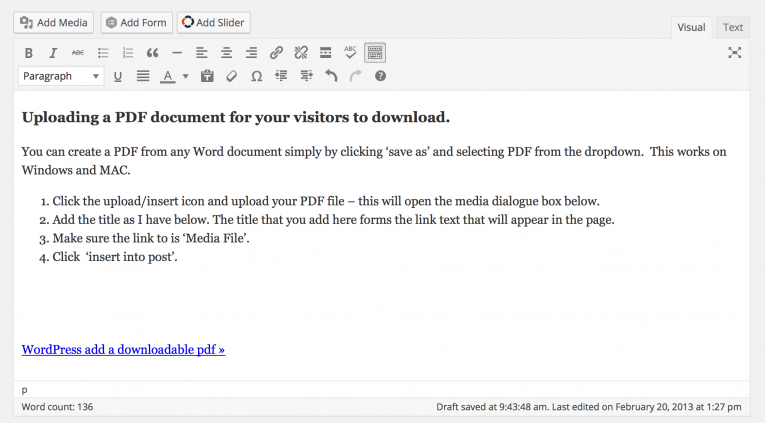 Uploading a PDF document for your visitors to download. You can create a PDF from any Word document simply by clicking ‘save as’ and selecting PDF from the dropdown. This works on Windows and MAC. 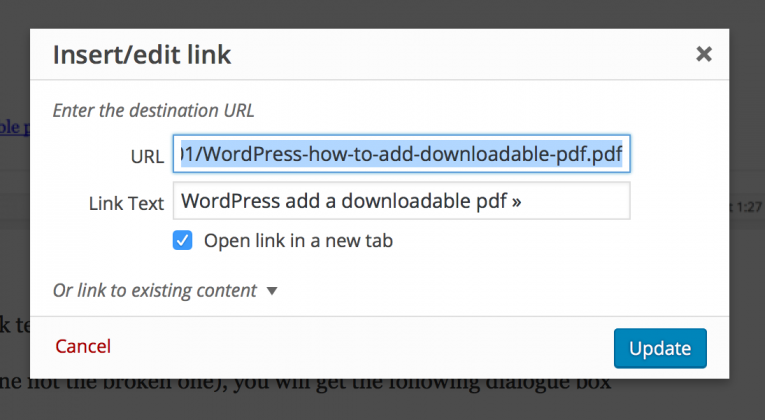 Click the upload/insert icon in the WordPress editor and upload your PDF file – this will open the media dialogue box below. Add the title as I have below. The title that you add here forms the link text that will appear in the page. Make sure the link to is ‘Media File’. 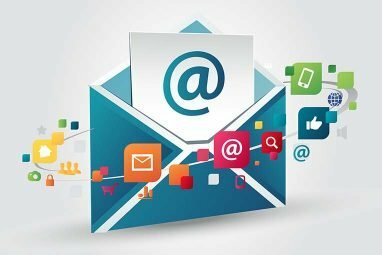 You will note that the text is now a link. Place your cursor anywhere in the link text as I have below. If you want the link to open in a new window simply tick the ‘open link in a new window/tab’ option. This makes sure that when visitors click the link they the original page stays open. NB. This is not always best practice, you might prefer that your visitors just click the back button on their browser to return to the original page. The latter is better for mobile and tablet users, so probably better all round. Click update, which should close the dialogue box. When you are done with all of your editing, as always, update the page by clicking the blue update button in the main WordPress editing screen. With Gutenberg blocks it is very easy to add a file to your page …. first of all select a FILE block. Then upload your file or select it from the media library. You can see once your file is selected it adds a nice download button for you at the end of the text. Then set the settings as you wish – very easy. You shouldn’t need to touch the settings here but there are the usual background and text colours if you want to change them. 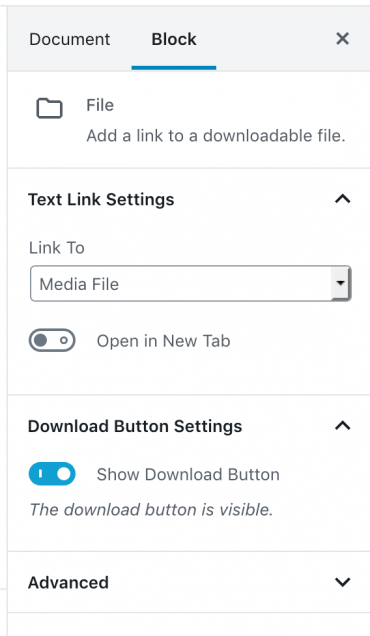 It should always link to the media file, which is the original download file.